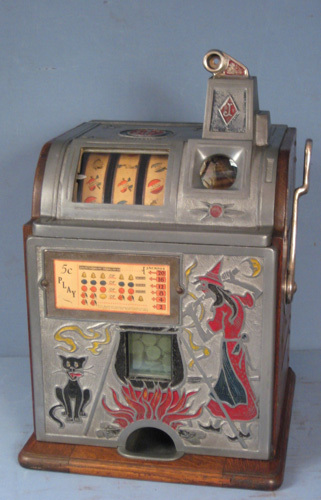 I am currently selling an antique c. 1920s Mills Operator’s Bell nickel slot machine. The main back of the machine is missing, but there is a key and back area panel. Machine is in great and working condition. Item is located in New Jersey. Interested buyers email me this week with your offer. Will be taking best offer on Friday 5/25. Need a photo of the back panel and the town for pick up or shipping. WAS THE FINAL PRICE WHERE WAS IT LOCATED. I sent you a DM on Thursday. Did you receive it?